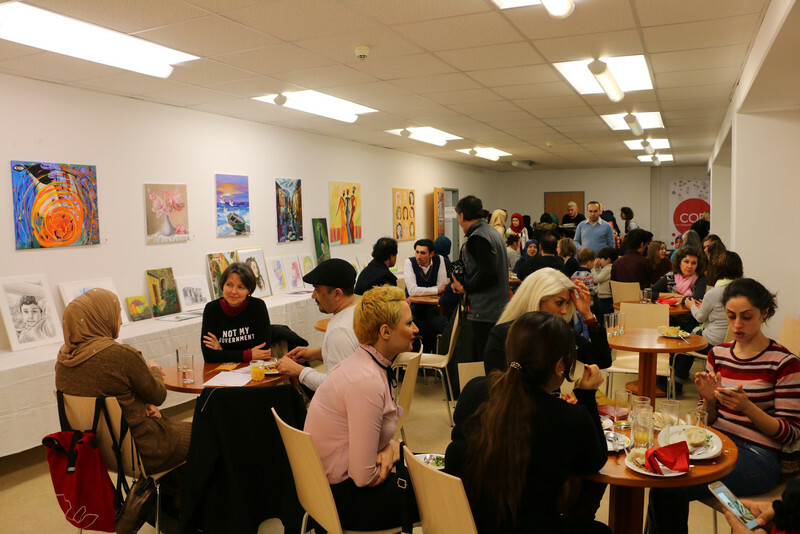 On 17th of January, the CORE Centre was all about creativity: on this day, the doors in Pfeiffergasse 4 in the 15th district were opened as part of a neighborhood meeting and the artistic, craft and culinary talents of the participants in the CORE Centre were revealed brought the curtain. Around 100 guests accepted the invitation and took a look behind the scenes of the creative and sewing workshop. Twice a week experienced artists come together in the CORE Centre with training as well as autodidacts, natural talents or simply interested persons, who are just beginning to study art and painting. 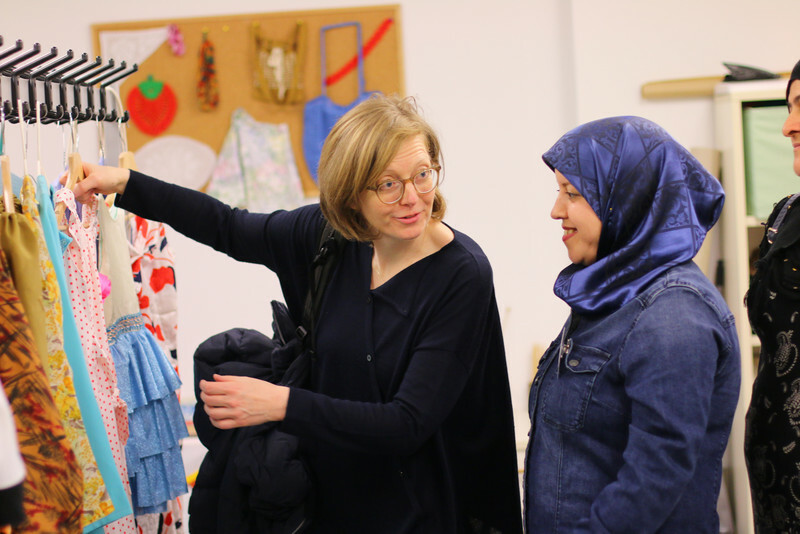 And in the sewing workshop regularly interested and talented craftsmen and women with and without refugee background meet and bring their ideas and creativity when sewing, knitting, embroidery or crochet. 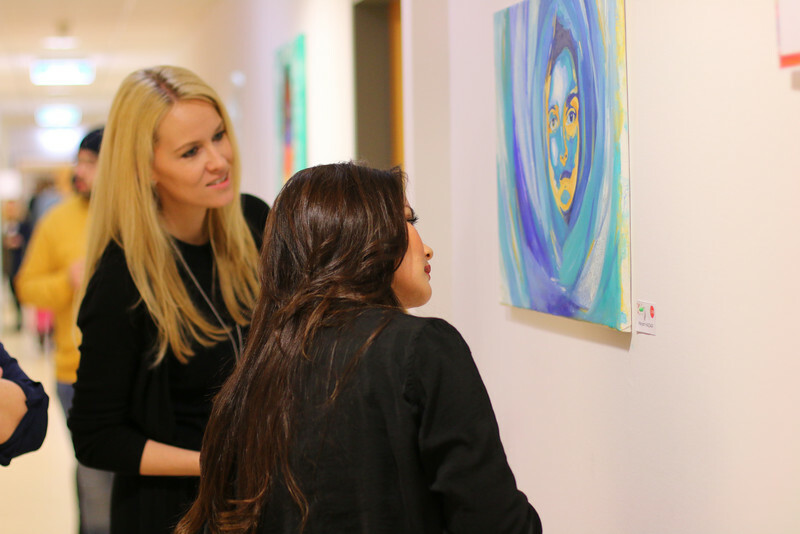 At the neighborhood meeting, guests recently had the opportunity to find out which works had been created over the past few months. 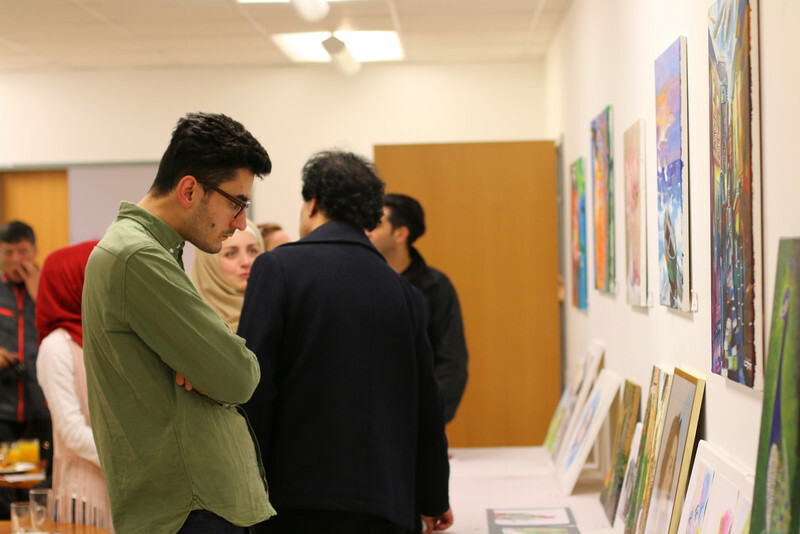 At the "meet your neighbours"-event, all those interested could get in touch with the artists and the handworkers and exchange views. For example, about the often very personal stories that are behind many works. 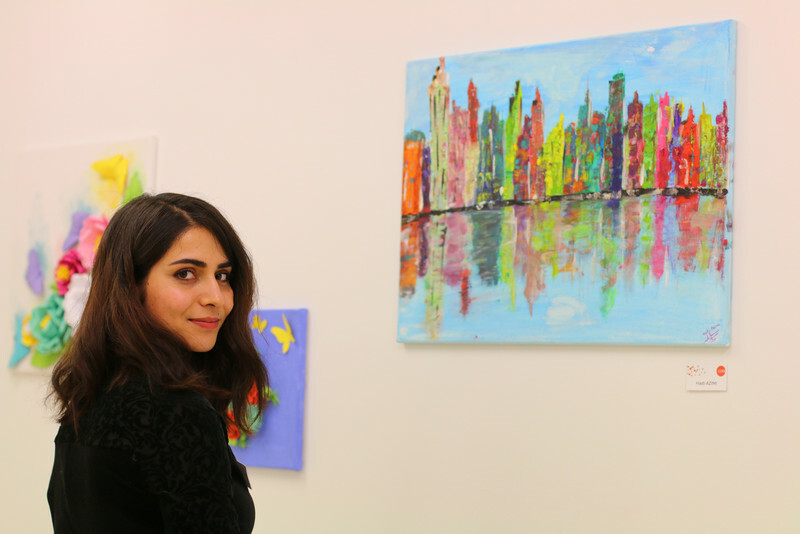 Many of the participants regularly come to the CORE Centre for this reason: They want to express their ideas and emotions while painting, drawing, modeling or using other techniques. For others, especially being together in the group is very important. Being creative with others, creating something together - whether sewing or doing artistic work, is essential to them. Some people come to the CORE Centre to share their knowledge because they already have a lot of experience. They share their know-how with those who want to learn something new and take something from the experiences of others. This often shows very great talents. Many people come for practical reasons: they simply want to sew trousers for their kids, repair a piece of clothing or make something out of old clothes. All these crafts or artistic activities go far beyond a meaningful leisure activity. Because many of the people in the workshops have already painted, drawn or sewn in their home country. The fact that they can continue these activities here in Vienna ensures a certain continuity in their otherwise often insecure lives. "Especially if many things had to be left behind, this connection to one's own interests from the home country is very important. Because it shows that you can express an important part of your personality here in Austria and your own talents are valued, "said Nina Andresen, CORE project manager in the Vienna Social Fund. The exchange of information is not only inspiring and motivating, it also promotes the German language skills of the participants. Because when people together come from different backgrounds, German is the connecting language.